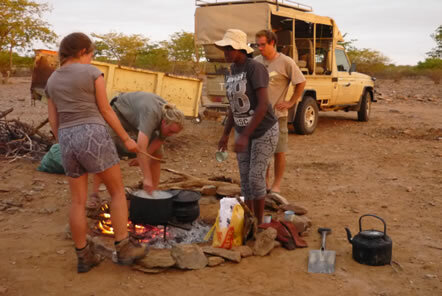 We have been in touch with volunteers at our Desert Elephant Conservation project in Namibia to find out how they found their volunteering placement helping elephants in the African desert. 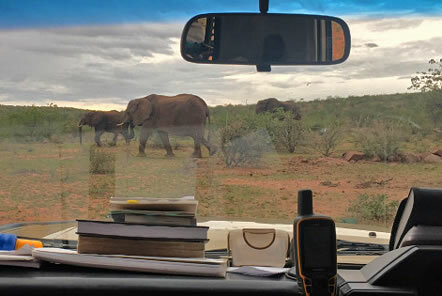 During March, the volunteers helped the project to reduce conflict between elephants and farmers as well as researching the elephants by tracking the movements of the different herds. 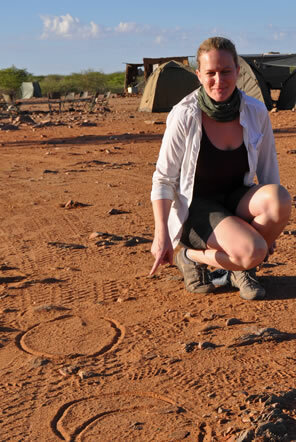 Nadja from Germany is 20 years old and she joined the desert elephant project for 4 weeks. When did you first see the desert elephants for yourself during your time supporting the building and research team? After two days of following the tracks we finally found the elephants. It was breathtaking! Just amazing! 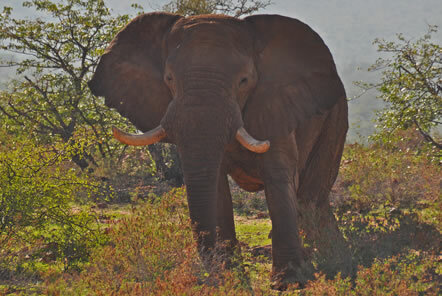 I will never forget the feeling when the biggest elephant Voortrekker was just standing next to our car. It was unbelievable. We saw zebras, giraffes and finally three herds of elephants in one area! The best day ever! Lucy is 30 years old and from England, she joined the conservation, building and research team for 2 weeks. What was the group like on your volunteer project and how did you all get on? I could not have asked for a better group of people to spend 2 weeks out in the desert with! So many funny moments, lots of hard work – going to miss these guys loads! During the volunteer placement you take it in turns to cook meals each day over the fire, how did you find being on meal on duty? Fun! Although I think me and Stephen owe a lot to Matteus for his help when it was our duty nights! Everyone cooked amazing meals! During the first week at the project you are involved in building walls to protect farmers water points and building elephant water drinking points, can you describe the work on this part of the volunteer placement? Hot! Fun! We smashed out the rest of our wall in 2 days…dream team! Enjoyed it so much I tried to book two more weeks before build week had even finished! What was the best part of tracking the elephants and how did you like sleeping outside? 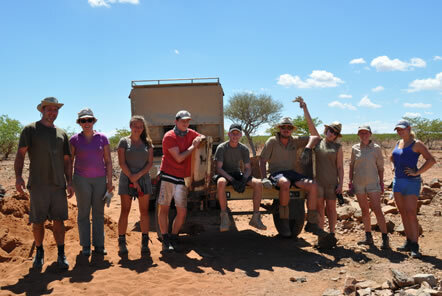 When Voortrekker walked between our cars, and leading up to that – banter on the truck! Sleeping outside was amazing! Apart from when I tried to wait out the rainstorm on my own. Walli from Germany and Botswana is 34 years old joined the research team and building team too. During the elephant patrol week there is no shower facilities so volunteers only get to shower once back at base camp, how did you find not washing?! Well, I never enjoyed showering so much like after these days……..
And was your experience with volunteering with the Desert Elephant Conservation team what you thought it would be? Even better! It was even more fun than I thought it would be and our group was just great. The first days on patrol I was a little bit disappointed about not finding any elephants but on the third day we saw three herds in the afternoon and it was amazing. Oh, and I didn’t expect that there would be so much rain in Damaraland. But it was nice to see flowers and some grass in the desert.